We really struggle around here with varying the foods available. When we had to switch to gluten free eating it was difficult. When Amber also needed mostly fructose free foods, our repertoire of recipes narrowed to nearly nothing. I've been learning how to adapt gluten free recipes for Amber's low fructose needs with some success. Eventually, I decided to try my hand at an old family favorite that Amber desperately missed. This coffee cake is what Amber requested, in days past, for every birthday breakfast and every holiday. It was her absolute favorite breakfast food. Unfortunately, the ingredients list did not lend itself to a successful conversion, I tried. Then the fateful day happened: Amber tolerated pure maple syrup in small amounts. It was the opening we needed to add in scores of additional recipes. Not only can we substitute maple syrup for honey, but we can replace brown sugar with maple sugar. I usually make a double batch and freeze one coffee cake. I've tried my hand at making maple sugar at home and it worked like a charm. However, it was a pain and time consuming. I found pure maple sugar on Amazon to be priced about the same as purchasing pure maple syrup locally in the quantities needed to result in the same amount of maple sugar. I no longer make my own, but I can in a pinch. 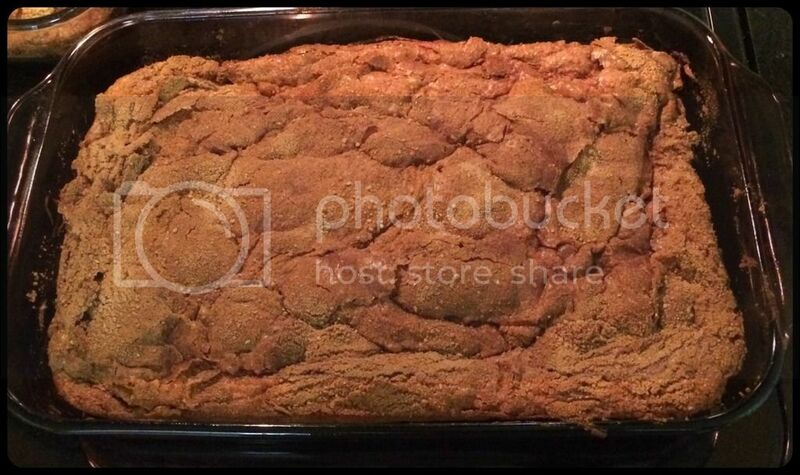 The coffee cake uses my standard multigrain gluten free flour mix since Amber does not tolerate any of the commercially produced gluten free flour mixes. I have a bone to pick with all of those companies that insist brown rice flour is absolutely necessary, or sneak pectin in the flour mix. This recipe is adapted from one that I had on an old recipe card and was subsequently typed up in a binder my mom created for me. We don't know the original source of the recipe, it's just always been there in our family. Preheat oven to 350°F and lightly grease a 13x9 pan. In a large bowl or bowl of your mixer, place the dry ingredients and whisk together with a handheld whisk. Create a well in the center of the dry ingredients and add the remaining wet ingredients. 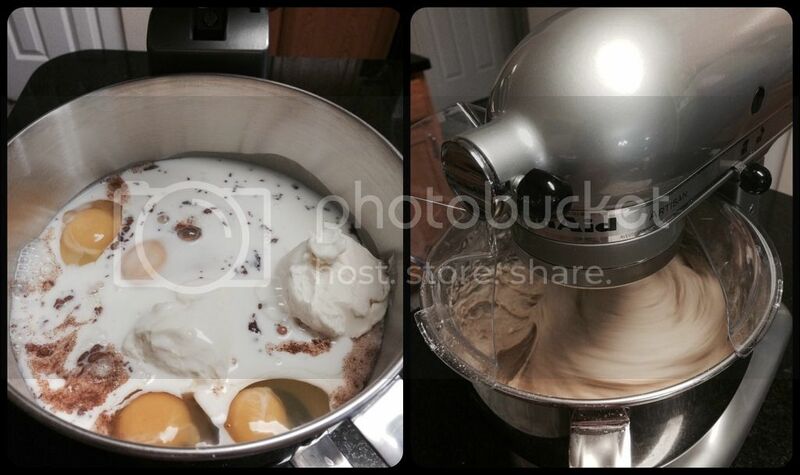 Beat with either the paddle attachment of your stand mixer, or a handheld electric mixer until smooth. The batter tends to puff up some. Scrape into the prepared pan and smooth with a wet spatula. In a small bowl combine the topping ingredients and whisk together. 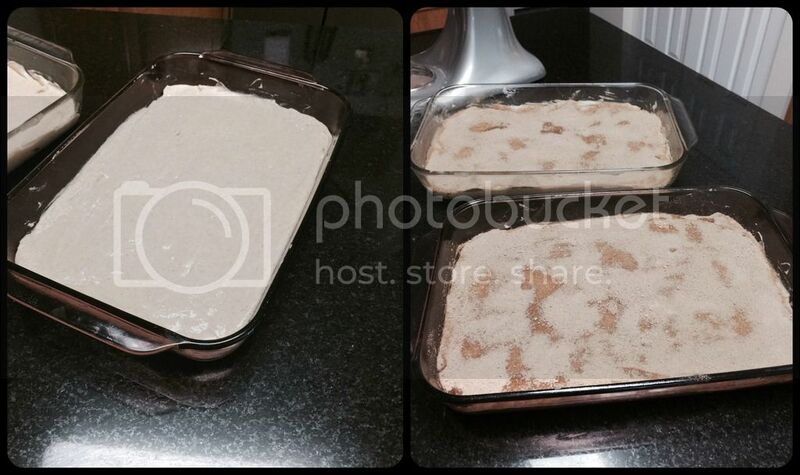 Sprinkle the mixture evenly over the batter. Cover and refrigerate overnight for more flavor, or bake immediately. (I usually bake immediately). Place the pan in the center of the preheated oven and bake until only a few moist crumbs come back on a toothpick inserted in the middle of the pan, about 30-40 minutes. Allow the coffee cake to cool slightly before cutting and serving. The baked coffee cake also freezes well. I've been known to mix and bake two at a time, then freeze one for later consumption. ** Most often I save my maple sugar for use in the topping and use maple syrup in the batter.